I have a confession to make. I have a gaming addiction, a very specialised one that only affects light-gun arcade games. When I see BioShock running on a friend’s Xbox 360, I don’t have to play it and I can also leave it alone if I want. 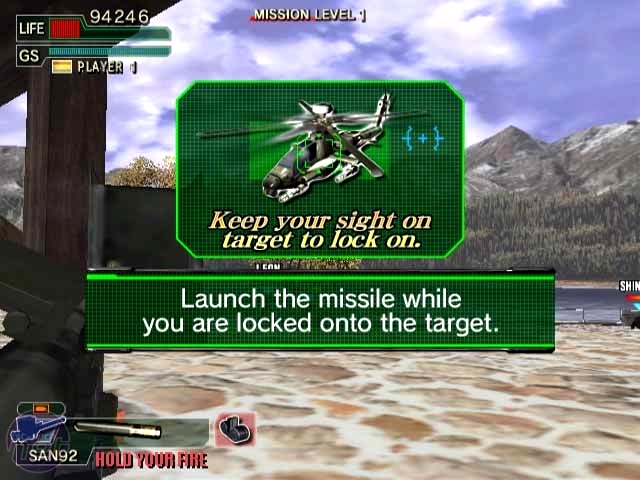 When it comes to light-gun arcade games like House of the Dead or Time Crisis though, I have literally no choice – I must play them. And my guilty little secret is that for the first month or so of my university education I didn’t go to a single lecture or seminar. I spent all my time in the college bar playing House of the Dead 4. I wasted a fortune on the game and would have continued to do so had the college not got rid of the machine eventually. That’s something I obviously don’t want my parents knowing, so you have to promise not to tell anyone – as a journalist, I know how fast news can travel. Yes. They are in battle. Exclamation! 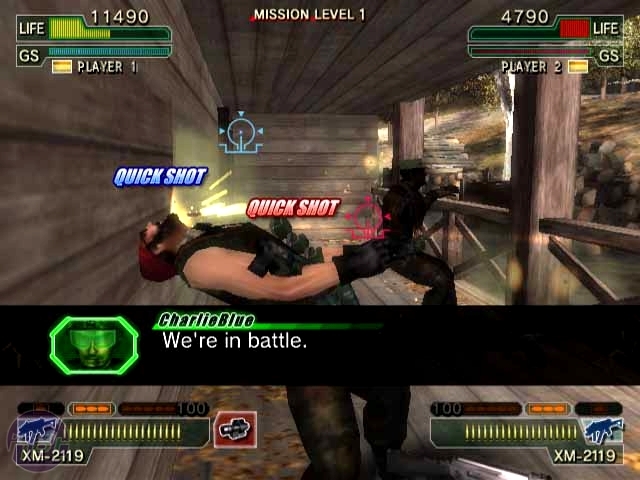 It’s also why Tim is probably going to regret telling me to review Ghost Squad, the Wii port of the light-gun game. I’m not going to work again for months. If you’re not as big a light-gun fan as I am though, then let me clue you in. Ghost Squad is a light gun game that was developed and published by Sega for arcades across the world back in 2004. 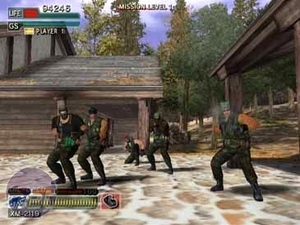 It was in many ways the standard light-gun game; you had your gun, there was a screen, you shot the bad guys and laughed at the awful voice acting and broken English. However, even back then Ghost Squad was a bit ‘out there’ and revolutionary. You could, for instance, change the fire mode on your machine gun by flicking a switch on the handle to unlock semi-automatic, three-round burst or fully-automatic. The infra-red rifle also had a proper sight on it which was useful for some of the harder parts of the game where players had to snipe or perform scripted activities. 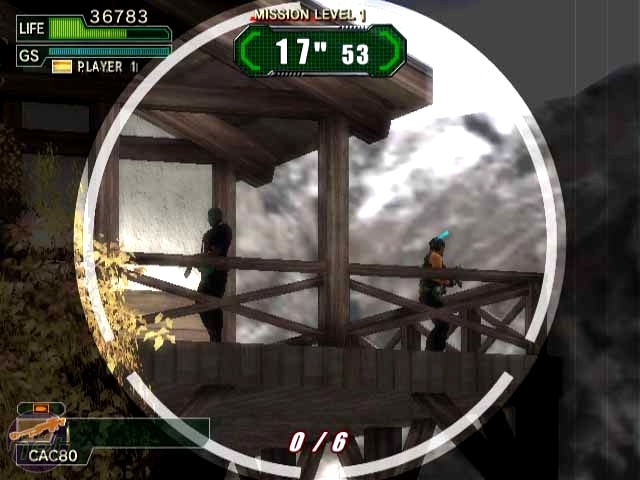 It was these extra little features which quickly made Ghost Squad stand out as an innovator among light-gun games. It was a shame then that Ghost Squad remained relatively unknown to many, hideously over-shadowed by the comparatively by-the-numbers House of the Dead and Ninja Assault. Thankfully, Sega didn’t give up on the franchise and this port of the original arcade game brings the action-packed but immensely laughable storyline to the only console that makes sense for it – the Wii. 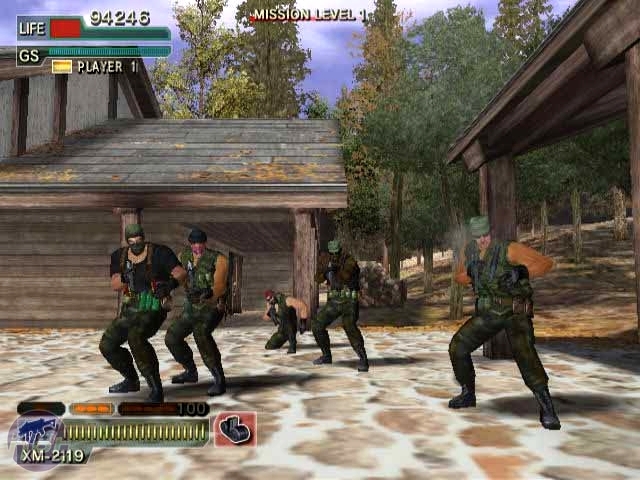 At the same time, the game has been expanded and improved upon to include more features, unlockables, modes and hilarity because despite the grim terrorism front Ghost Squad remains one of the funniest and most memorable light-gun games, though for all wrong reasons.